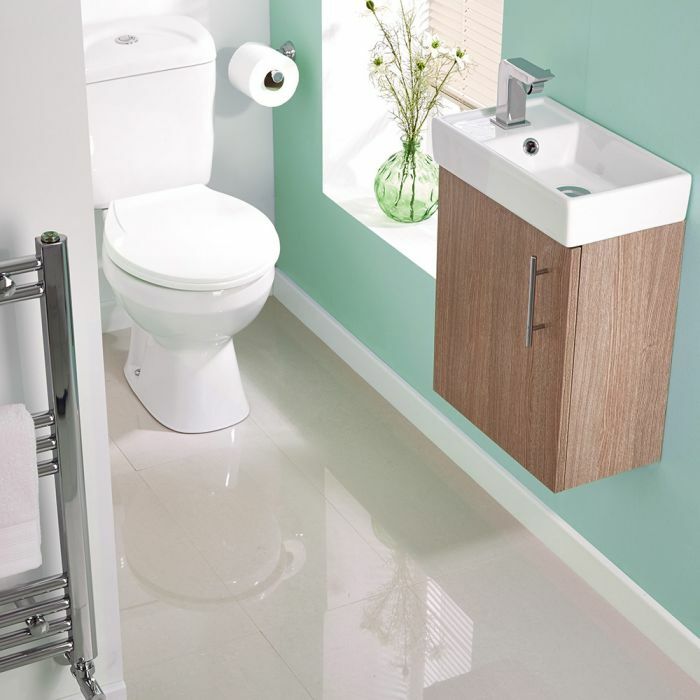 The Milano Minimalist cloakroom suite combines style with practicality. 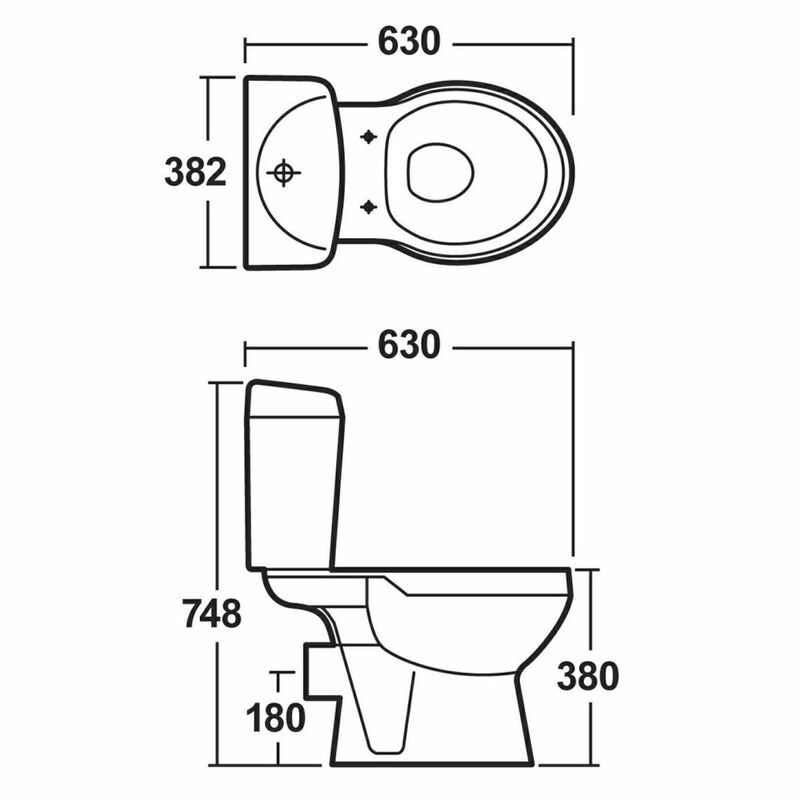 Perfect for creating a smart, modern look, this cloakroom suite comes complete with the compact wall hung vanity unit and the close coupled toilet with dual flush cistern and seat. 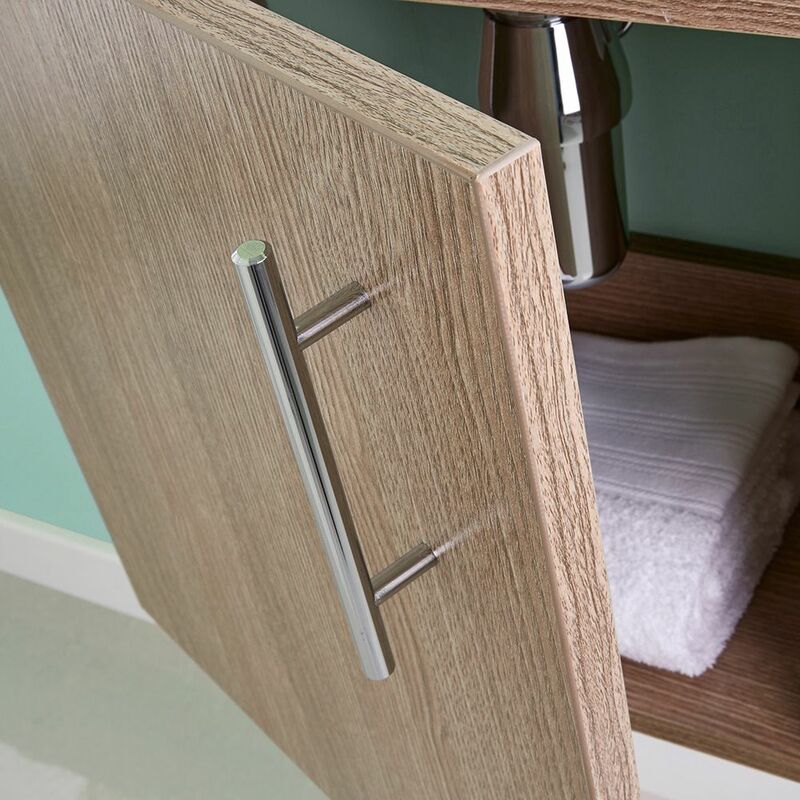 Featuring an oak finish and a compact, space saving design, the wall hung vanity unit provides a superb storage solution for toiletries. 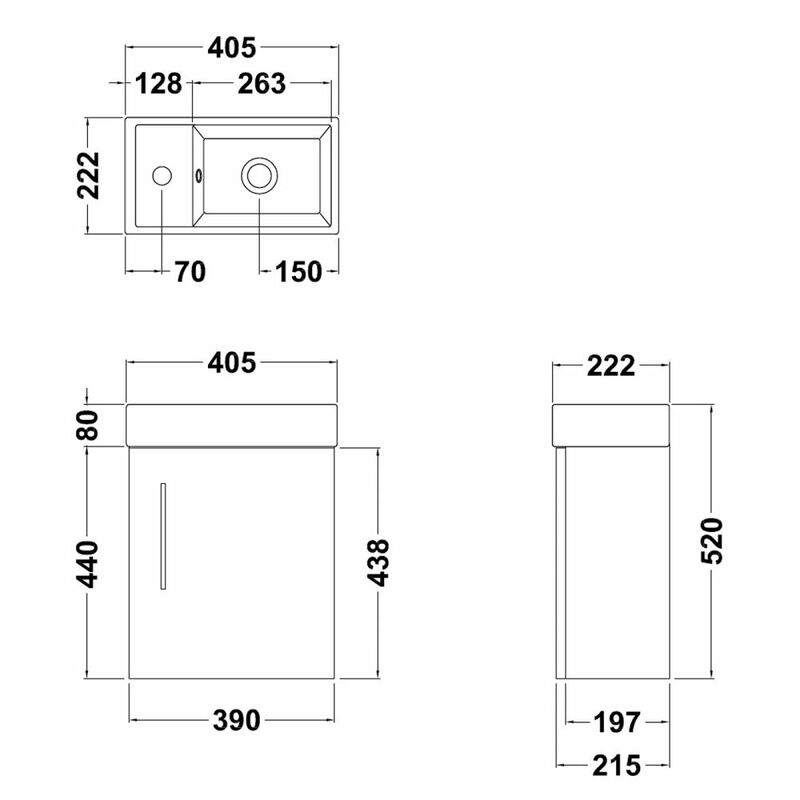 Measuring just 400mm in width and 222mm in depth, the vanity unit is supplied rigid to ensure easier installation. 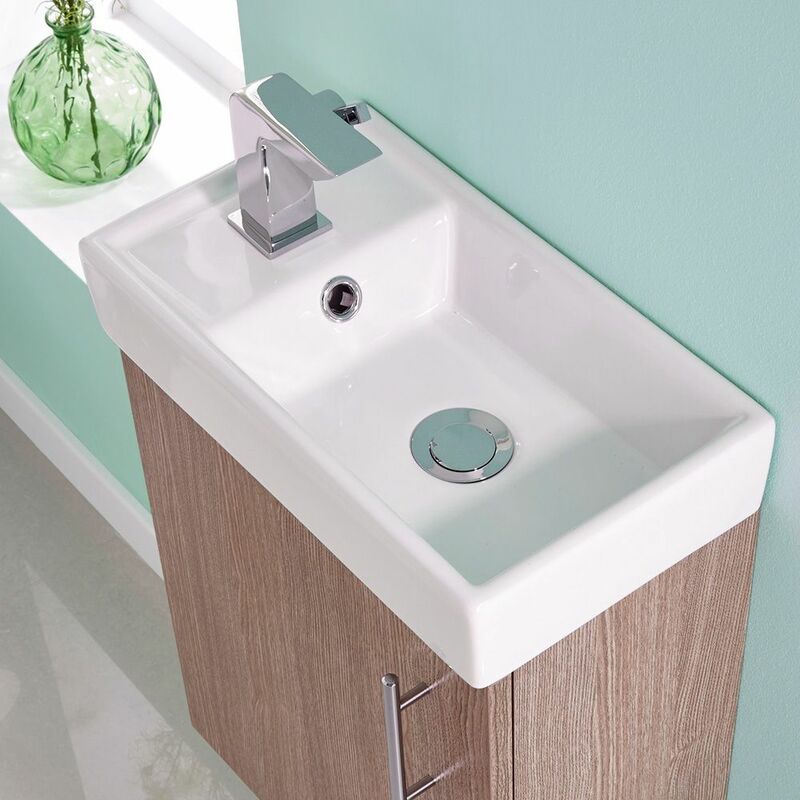 The vanity unit includes the basin. Please note: a basin tap and waste are not supplied.